Since eM Client 6 was released you have started putting out requests for features that should be included in the upcoming release and now we’re finally ready to share more details about the next version. We'll be releasing a series of posts introducing the new features. 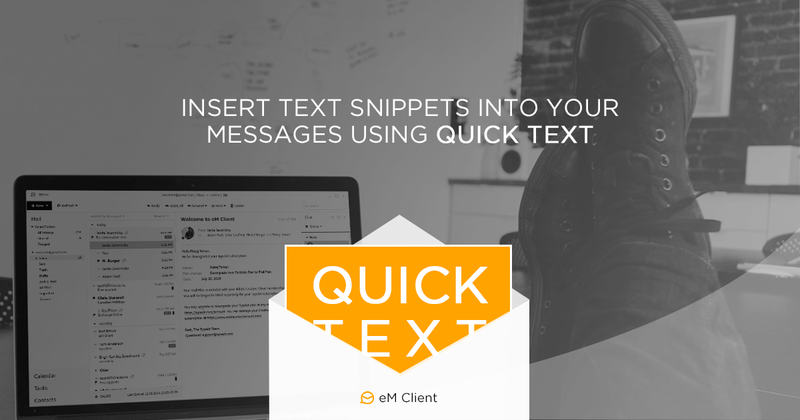 QuickText is a new addition to Templates and Signatures as an additional option how to prepare and predefine snippets of text that you can quickly insert into your new messages as well as replies. 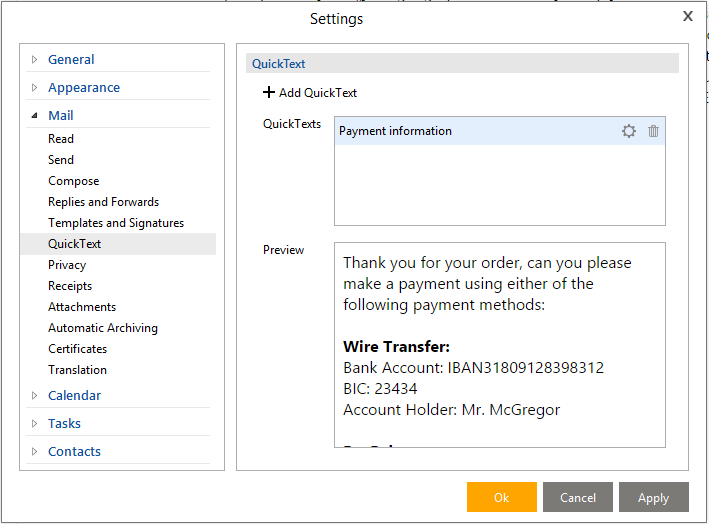 Difference between our current Templates features and QuickText is that templates have to be predefined and you can only use a template for all your replies or none. Up until now, there was no way how to add a template text into a reply. 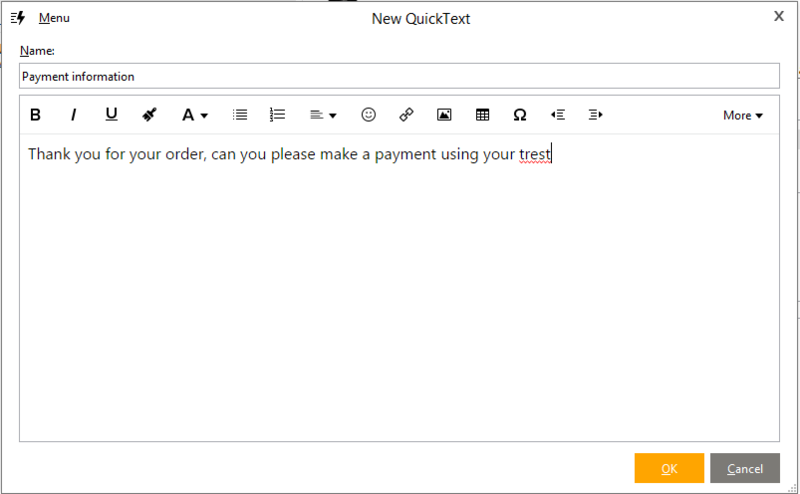 Our developers have worked on this to introduce an improved way how to handle predefined text on your replies and we're hoping this will ease your way how to work with templates and predefined text and save you a lot of additional work. 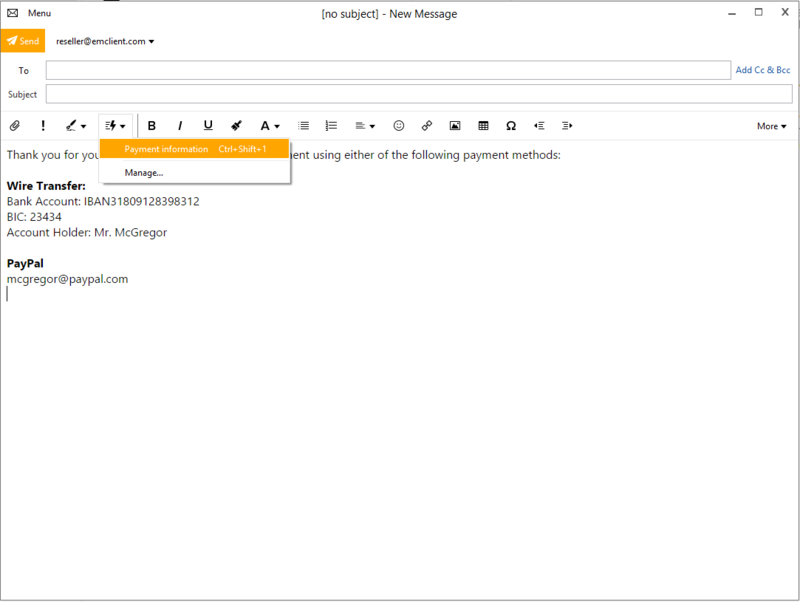 QuickText settings can be found in the Mail application settings under Tools > Settings > Mail.